Porsche introduced the next-generation of its venerable 911 sports car in November at the Los Angeles International Auto Show, showing the hardtop version of the Carrera S and all-wheel-drive Carrera 4S. Now – and as indicated by countless spy photos – it’s lopped the roof off to create the latest version of the 911 Cabriolet. 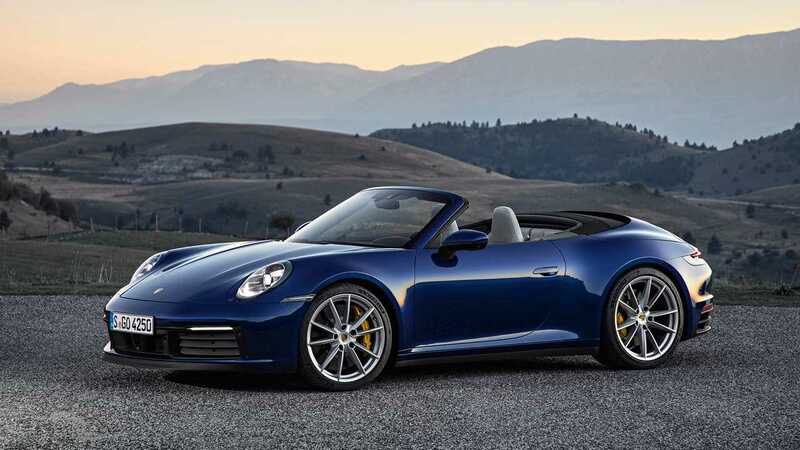 Coming out first in Carrera S and Carrera 4S, the 992 911 Cabriolet boasts the same 3.0-liter, twin-turbocharged flat-six, 443 horsepower, and 390 pound-feet of torque as the hardtop models shown in L.A. There’s also a new eight-speed dual-clutch transmission that’s all set for hybridization, a dedicated Wet Mode for more sure-footed performance in inclement weather, and the wide hips that formerly belonged to the all-wheel-drive models are now standard across the range. Active safety systems and a night-vision system are also available. In other words, the Cabriolet features the same improvements and new technologies as the hardtop. Shocking, we know. Where the 911 Cabriolet differs is, of course, with its canvas roof. Porsche is promising smoother, faster operation compared to the 991 – drivers can now raise and lower the roof in just 12 seconds, and like last year’s car, at speeds up to 31 miles per hour. As for the look, the softtop has its typical disruptive effect on the 911’s profile. This isn’t the prettiest 911 around, but limitless headroom is occasionally worth the aesthetic sacrifice. 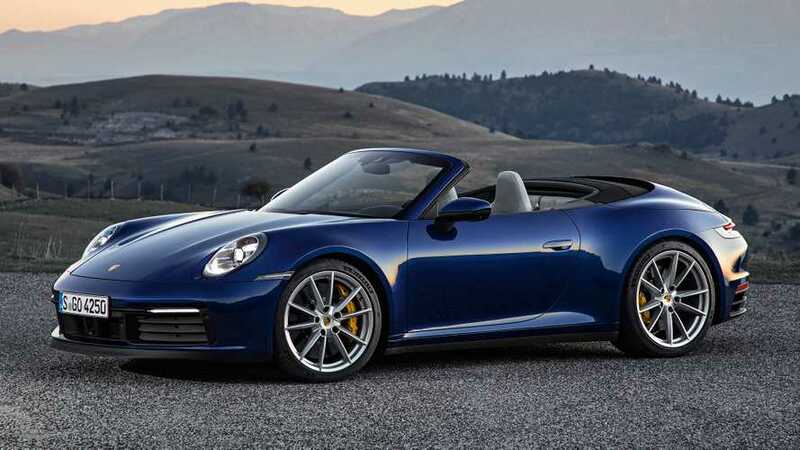 Speaking of miles per hour, the Cabriolet is just a smidge slower than the 911 hardtop. The slowest variant – the non-Sport Chrono-equipped Carrera S – takes 3.7 seconds to hit 60. The all-wheel-drive variant drops that figure by a tenth of a second, while adding the Sport Chrono Package to either variant cuts the time it takes to hit 60 by 0.2 seconds, just like the 911 Coupe. 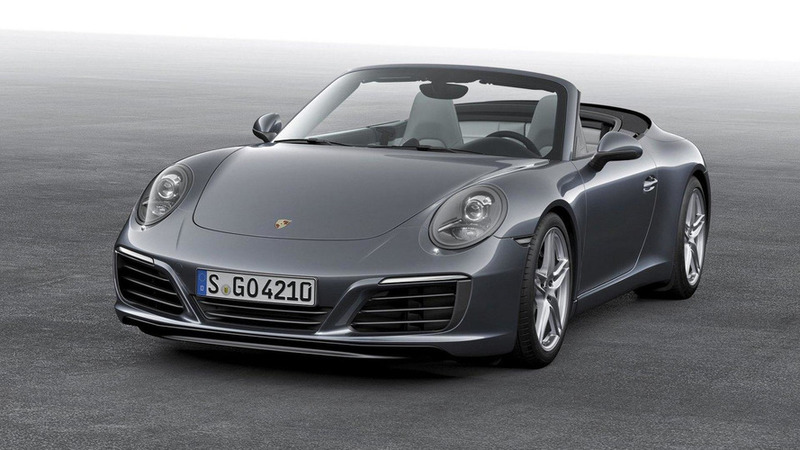 While the rear-drive model is slower to 60, it has a higher top speed, reaching 190 mph to the Carrera 4S Cabriolet’s 188. Prices for the 911 Cabriolet start at $126,100 for the Carrera S and $133,400 for the Carrera 4S. That’s a $12,900 and $12,800 difference between the coupe variants, respectively. Orders are currently open, with deliveries slated for late summer of 2019.